Sports Techie, The word marathon has a new meaning in the United States and if you want to define it with a word try using, Boston. It takes a steel resolve to run 26.2 miles and to do it on the hilly course of Boston is another level of dedication to the sport of running no matter what your reasons and motivations are for making it so. Terrorist bombings will not stop events such as the Boston Marathon from being the benchmark for marathon runners. I also have a friend from Whittier College, Mr. Jim Waltman, that ran the Los Angeles Marathon with zero training. Not wise in hindsight because the risk of injury is too high but his intestinal fortitude that day was the stuff the Greeks of old loved when they started the Olympics. Wish smartphones had been around in the 1980’s so we could have recorded this feat and posted the video to YouTube. The reason I mention these stories is because many of the 10 apps in this blog have the ability to assist you with your marathon training in a safe and highly scientific way. When you combine the Boston Marathon attitude with innovative sports tech such as run training apps, the result is a Sports Techie who will finish what they start and be back to do it again. Some of the apps are free, others have a small cost. Paying as much as $3.99 for a virtual coach is worth it when the price for not having it can be new hip replacement surgery because of improper running mechanics, techniques and equipment. 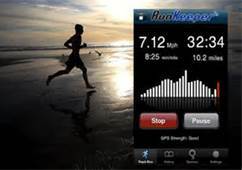 I have personally used RunKeeper since I began as an iPhone user three years ago, this is my 12th year with carrier AT&T. Although RunKeeper gives me back very little love on Twitter, I am consistent with updating the Sports Techie community about their software because it is excellent for most run training needs. I also am a Nike member and have used their Nike Running app with Nike Plus but have not downloaded the free Nike Training Club application. I did meet Nike celebrity athlete Hope Solo however at the 2012 Global Sports Forum Barcelona but was not staying in a Holiday Inn Express. We welcome your feedback at any our social media network links below or as a comment on this blog about these apps for iOS or any others you like or dislike. 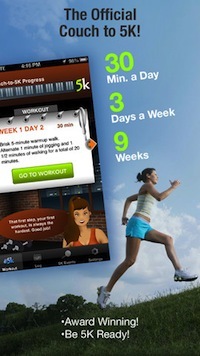 Enjoy for iPhone and fresh running apps.